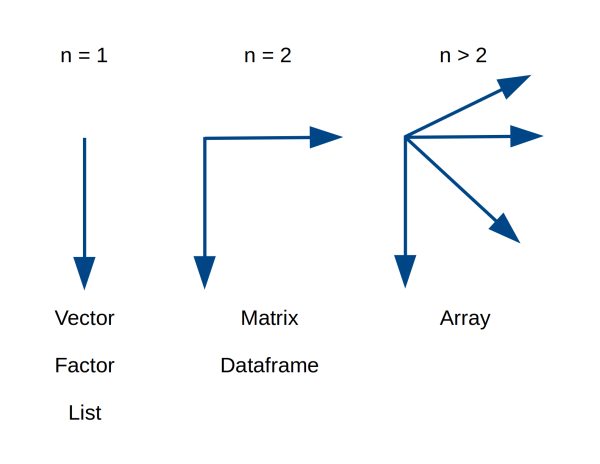 Understand how the different data structures are organised. Create and subset these structures. 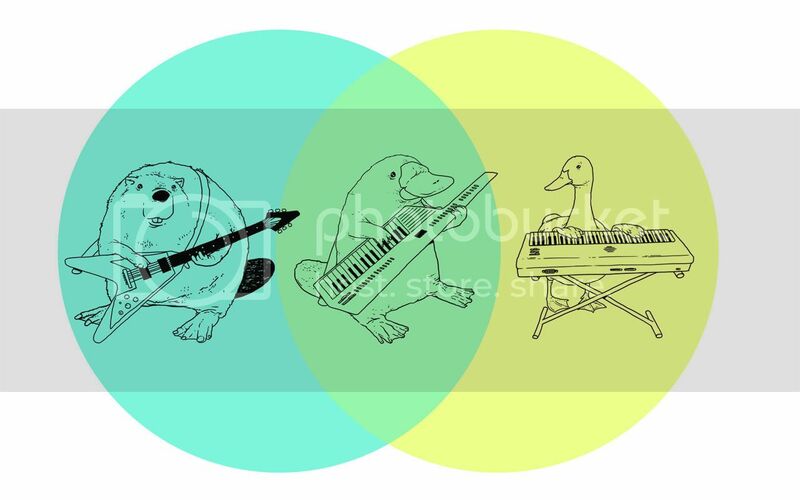 Data objects in R can take one of certain forms. These can be put together to create more complex objects. 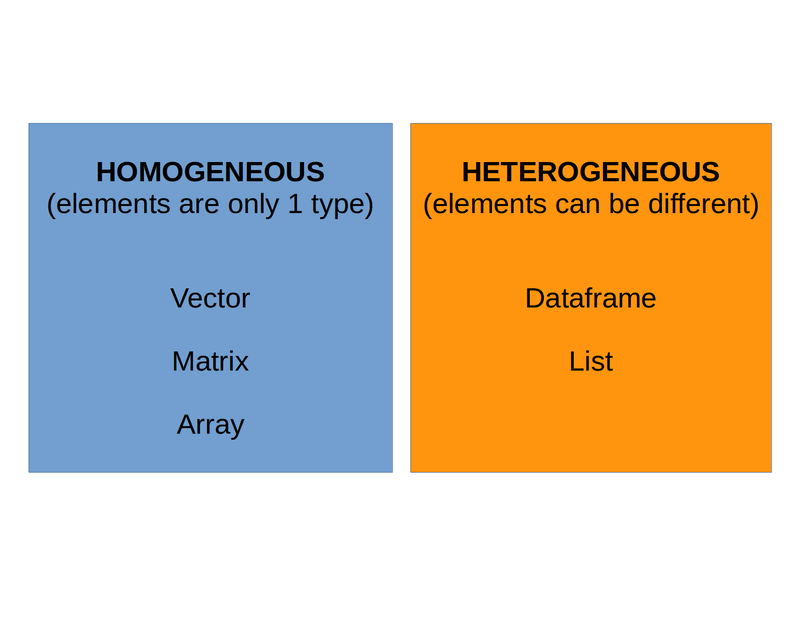 Data objects can either be restricted to one kind of data, or contain more than one kind. We will explore the common object types over the next few weeks. 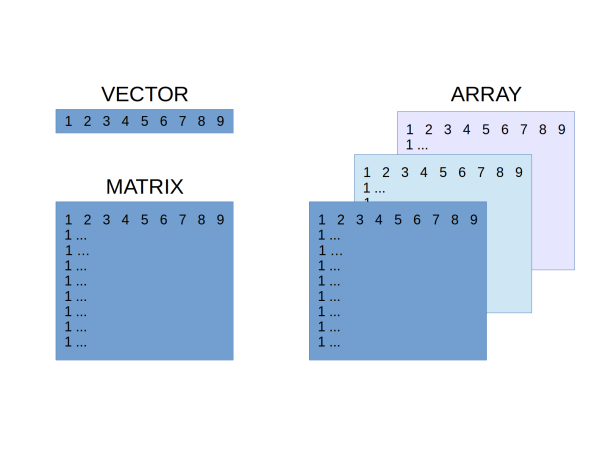 A vector can be thought of as equivalent to a single row or single column in a spreadsheet. A vector is any number of elements stuck together. A single element is a vector of length 1. A vector can contain only one class of data (= atomic vector). All elements in a vector are coerced to be the same kind of data. "1" "2" "3" "4" "a"
Vectors can be created with c() or vector(), in which case R will try to guess what kind of vector it is. (The default for vector() is logical). Or, you can create specific kinds of vector with character(), numeric(), and logical().
 "" "" "" "" ""
Matrices are vectors with two dimensions. chopping up a longer vector. Each element comes from a pre-defined set of categories. ordinal (ordered or ranked): small, medium, large. Factors can be written or coded using any mode (integer, text, logical). Dataframes are equivalent to a single worksheet in a spreadsheet. They can contain columns of different kinds of data. You will likely read your data into R as a dataframe. Lists can contain any other kind of data (including lists!) in a nested hierarchy. 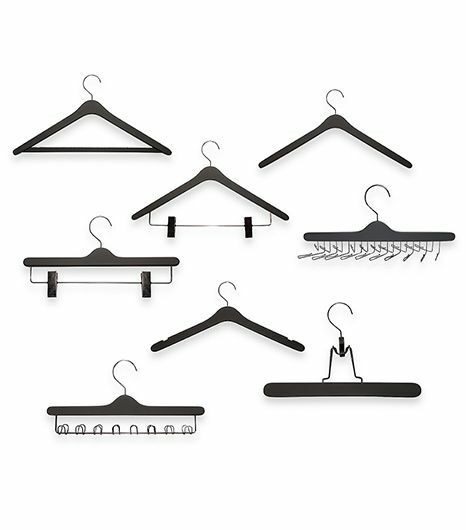 Including hanger with other rails (lists). Objects in R can be examined for their contents with functions such as: length(), class(), str(), typeof(). As well as any attributes: names(), dimnames(), dim(). You can verify the object type with is.object: is.vector(), is.matrix(), etc. R supports missing data, represented as NA. Inf is infinity. You can have either positive or negative infinity. NaN means Not a Number. It’s an undefined value. Vector GIS (shape files, …).